Sue Richardson joined the Abilene Pipers in 2007. 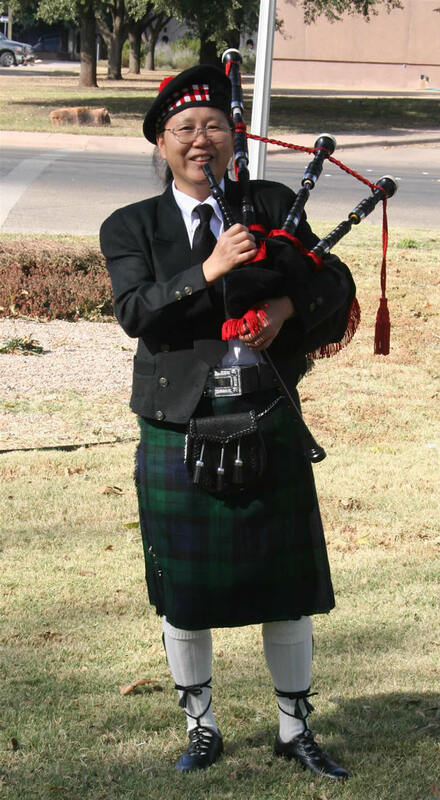 She has played at the Midnight Rodeo, Wesley Court, Dyess AFB Open House, Abilene Women's Club, Parades and Church Functions. Sue also plays piano and violin. She is married to Bobby and has a daughter, Trisha. Sue is a proud member of the McKim clan.